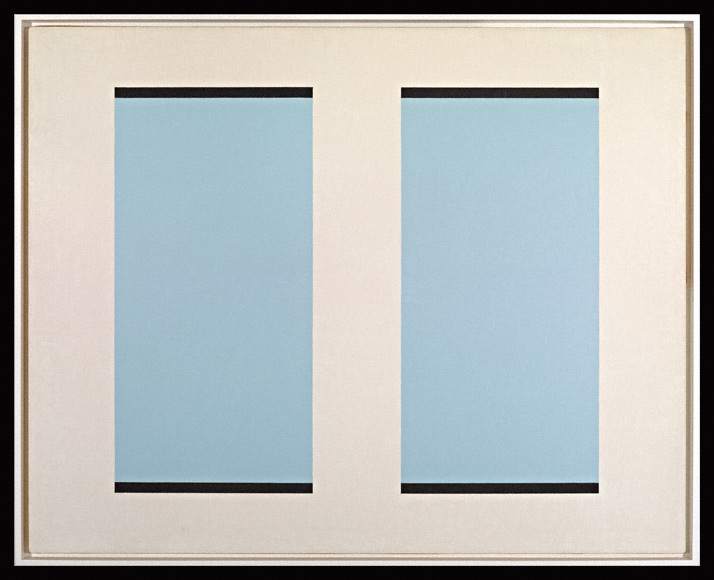 Strongly influenced by his immersion in Eastern cultures, John McLaughlin took a philosophical and spiritual approach to his painting, stressing simplicity of form, the presence of emptiness, and the neutrality of color. His hard-edge abstractions typically center on forms that serve as void-like elements, such as rectangles, squares, and bars. 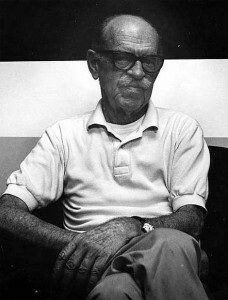 As his work developed through the 1950s, McLaughlin’s investigations of symmetry and composition became increasingly complex, a technique he achieved by layering adjacent planes and colors. 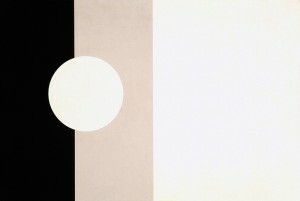 As in many of McLaughlin’s works, this formal tension causes the geometric elements to perspectivally shift back and forth. Beginning in the late 1950s and throughout the 1960s, McLaughlin moved away from purely neutral use of color and instead began exploring vivid, complementary colors that would heighten these effects.